Pierce City just won its second district championship in program history. The Eagles’ reward for winning another district title is a date with the top-ranked team in Class 2 in the Crane Pirates, a team Pierce City knows all too well. In fact, the Eagles upset the Pirates 37-35 in the Sectional round two seasons ago after Pierce City had won its first-ever district crown. The Pirates have weathered a tumultuous season in which head coach Dale Lamberth was placed on administrative leave in late January (and later resigned in early February). Crane was ranked #1 in the state at the time, and after assistant coach Chris Hastings was named the interim head coach, the Pirates have responded by running off eight-straight victories by an average margin of victory of 33.5 points. 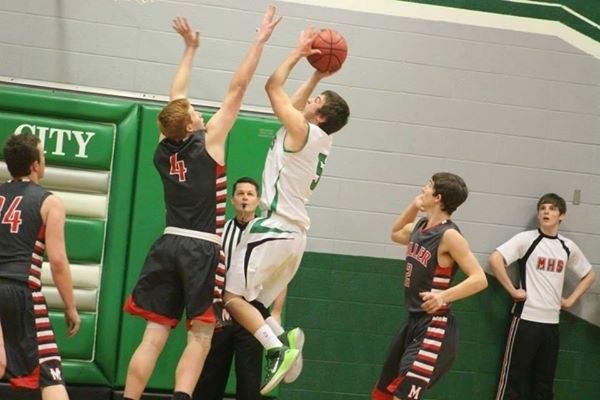 Pierce City enters the contest on a six-game winning streak since its last defeat, a 46-45 loss to Marionville at the CMH Classic at Southwest Baptist University on Feb. 7. Since the beginning of January, the Eagles have won 14-of-16 games, so Pierce City also enters the game on a hot streak. The Eagles are led by a trio of seniors who have been through some battles in their Pierce City careers. Colin Garner averages 17.2 points per game, and is shooting over 40 percent from behind the three-point arc for the season. He also dishes out five assists per outing. 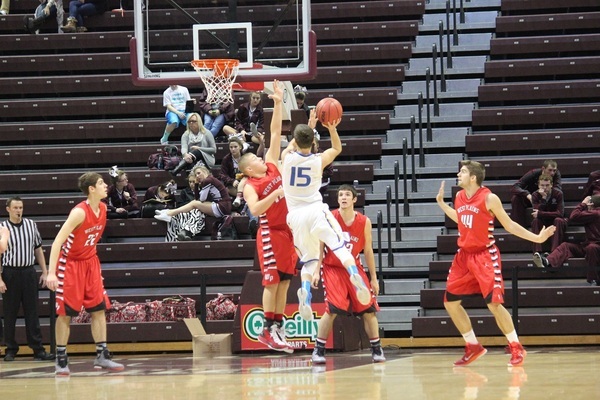 Kole Kelley averages 13.6 points and 7.2 rebounds per game, and is shooting better than 50 percent from the field. Colton Drollinger can doa little bit of everything, as evidenced by his averages of 9.2 points, 4.5 rebounds, 2.5 assists and 2.7 steals per game. 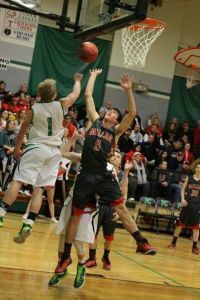 Drollinger is also capable of a scoring outburst, such as the 26 points he dropped on Miller in the district championship game. The Eagles also count on contributions from Evan Burt, who led Pierce City with 18 points in the district semifinals, as well as from the versatile Ian Burt, who can drive, post up a defender, or knock down an outside jumper. Crane also has a three-headed monster of seniors, led by All-State point guard Zach Chastain. Fellow senior Clay Stumpf is one of the top three-point shooters in the area, and is making nearly half of his treys for the season. The streaky Stumpf can change a game in a hurry if he gets hot from outside. 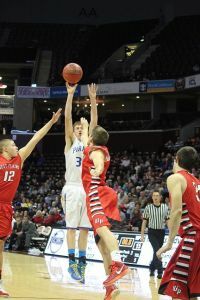 At 6-foot-2, the versatile Jake Sowell presents match-up problems for opponents due to his ability to get to the rim off the dribble or post up down low. Sowell is equally comfortable draining an outside jump shot. Six-foot-three junior Robby Williams and fellow classmate Tanner Gold are also key contributors for the Pirates, as are sophomore Dalton Hayes and senior Sam Sowell, who is not afraid to do the little things that do not show up on the stat sheet. Top-ranked Crane is on a mission to get to Columbia after the Pirates felt their season was ended prematurely a year ago with a heartbreaking 51-50 loss to eventual state runner-up Iberia in the state quarterfinals. The Pirates have been rolling over outmanned opponents over the past month of the season. The Eagles may be the underdog, but they also know they are more than capable of emerging victorious. The winner of this game will be one step closer to Columbia, and will advance to a 1:00 p.m. tip-off on Saturday at Drury University in the state quarterfinals. The opponent will be either #5-ranked Hartville or #9-ranked Gainesville.